The Kootenai model has 3 Beds and 2 Baths. This 1173 square foot Double Wide home is available for delivery in Idaho, Washington, Oregon, Montana, Wyoming, North California, North Nevada & North Utah. The three-bedroom Kootenai is perfect for smaller families or recent downsizers. 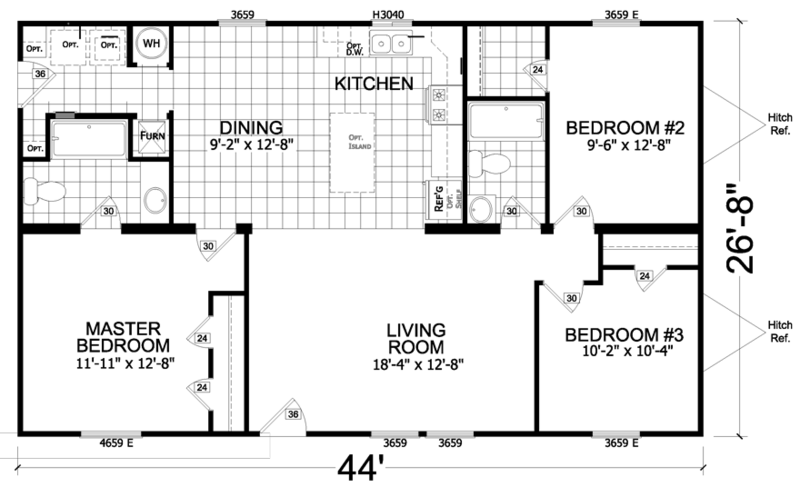 However, one shouldn’t overlook this sufficiently sized split floor double wide. The open kitchen has been equipped with 30″ overhead cabinets and modern appliances, while the luxurious master suite offers plenty of privacy. Ask about all the options available with this model. Ask your housing consultant about the other great features that come standard on the Kootenai manufactured home.